Build your Etsy, Amazon or Ebay style marketplace easy, fast and FREE! WC Vendors is officially the #1 WooCommerce based multi-vendor plugin on the market, trusted by over 20,000 marketplaces & growing. 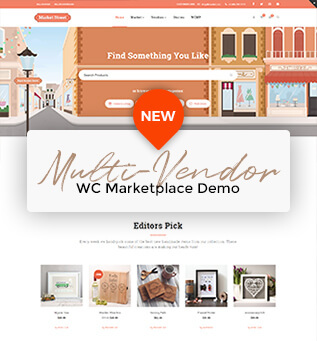 The Rigid WordPress & WooCommerce theme comes 100% compatible with WC Vendors and WC Vendors Pro plugins. The plugin styles and design are seamlessly adapted to reflect the entire theme style and features of Rigid.